In recent years many contributions have been made to solving the question on how best to avoid a new financial crisis. This symposium aims to add to this debate not by duplicating what is already done but by exploring new ways in which to think about the challenges facing the financial sector. Any workable solution will need to address different aspects ranging from the technical to the structural characteristics of the financial sector but also the moral governance and how work is organized within financial institutions. One area of debate on the question of how best to manage the possible negative societal impact of finance is hooked in the more general debate on markets versus regulation. Critics of laissez faire thinking argue that deregulation and a lack of qualitative oversight were at the root of the financial crisis, thus making the case for increased regulation of financial institutions and their operations. 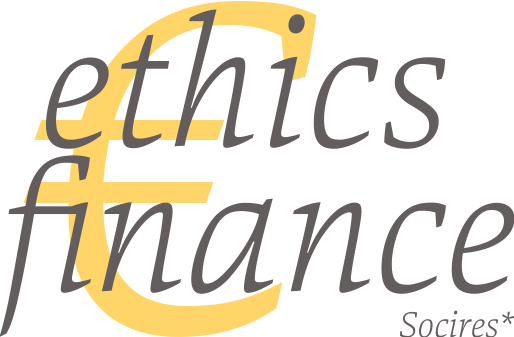 These critics will find themselves confronted by those who are inclined to belief that regulation driven by sanctions will not yield the changes necessary to avoid financial malpractice and may even do more harm than good (Hoogduin, 2014). In this line of thinking any regulation should come from the sector itself and be self-imposed rather than externally enforced. The Dutch Banking Association (NVB) gave concrete substance to the idea of the need for a cultural and moral reaffirmation for the financial industry by introducing and advancing the Banker’s Oath. Initially this Oath was introduced for all members of the executive and non-executive board on financial companies. As of April 2015 the broadening of the population of bank employees that takes the Oath has commenced and in one year from now the taking of the oath will become mandatory for all banking employees. This Oath will also have legal implications. The current Governor of the Bank of England, Mark Carney subscribed to the view that the "(...) the succession of scandals means it is simply untenable now to argue that the problem is one of a few bad apples. The issue is with the barrels in which they are stored" (2014). This observation hints that the discussion on the cultural and moral dimension of the financial industry is advanced by also looking at the institutional and organisational settings, moving beyond approaches that are very much tied to the individual. This need to look at the organizational level is reinvigorated by the fact that regulation apart from the initial underlying intentions also has a tendency to introduce complexity into the system – and complexity in turn can and indeed will influence market behaviour. In this line of reasoning it’s very apt to speak of legislation and indeed regulatory as an ethical force. Another aspect that has been hotly debated in recent times in relation to the financial industry relates to the make-up of the sector itself, i.e. the financial landscape. Some commentators feel that to have diversity in the nature of financial institutions is an end to be prized in itself. This encompasses the idea that the sector is helped by having different types of banks ranging from large to small, from consumer banks to investment banks, and with diverse ownership structures. It’s easy to see that this view has considerable implications for the regulatory framework and legislative agenda. In any case it consists of a rethink of the universal bank and the economies of scale that are desirable in the financial sector. The Socires Foundation is a Dutch expertise centre that was founded in 2000 to stimulate reflection and research on culture and society. In Socires' vision personal commitment, organizational performance and social vitality are intrinsically connected with each other. Central to the vision of Socires is the idea of humanizing: we need each other for developing our talents, for experiencing meaning, to become human. Communities and organizations thrive when they are governed and organized according to this principle. The Konrad Adenauer Stiftung was established in 1955 as “Society for Christian-Democratic Civic Education”. It is a political foundation that offers a wide variety of civic education conferences and events in Germany, and through its offices abroad is active in more than 120 countries. Its focus is on consolidating democracy, the unification of Europe and the strengthening of transatlantic relations, as well as on development cooperation. UNIAPAC is a federation of associations, an international meeting place for Christian Business Leaders. Its full name is the “International Christian Union of Business Executives”. Originally created in 1931 in Europe, it is an international non-profit association headquartered in Paris. UNIAPAC represents 16.000 very active business executives around the world, working in various leading sectors of the world economy.